Bruce Hochman’s practice focuses on a broad range of banking and private business clients in connection with all aspects of bankruptcy proceedings, workouts, and commercial restructuring, insolvency, receiverships, foreclosure actions, and other financial distress and insolvency matters. He has represented numerous creditors before the Federal Bankruptcy Courts of Maine and has served as special counsel to the trustee in several proceedings. Bruce has also been counsel to unsecured creditor’s committees in many chapter 11 proceedings in Maine. He is a frequent speaker on creditor’s rights and obligations, collection and foreclosure law and bankruptcy issues. Working collaboratively with clients, Bruce assists them in resolving complex financial problems through negotiating extensions for financial agreements and implementing forbearance agreements. He works with banks and lending institutions as well as business debtors to appropriately restructure and close loans. Bruce has substantial trial experience both in federal and state courts, and provides knowledgeable advice and counsel for clients in claims related to financial issues. 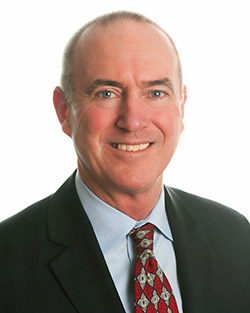 For more than twenty-five years, he has successfully represented a wide range of businesses and individuals in commercial litigation involving construction disputes, mechanic’s liens, arbitrations and contract negotiations. Bruce is recognized in Best Lawyers in America for Bankruptcy and Creditor’s Rights and in Super Lawyer’s for Bankruptcy and Creditor’s Rights. He is an AV® Preeminent™ 4.8 out of 5 rated attorney by Martindale Hubbell. Bruce and his wife have two grown children and live on Peaks island, Maine with their Labrador retrievers. They enjoy outdoor activities, cooking, alpine skiing and music. Counsel to MSM Enterprises, LTD., (05-20695) chapter 11 debtor owner of eight Burger King franchises.